CHATHAM — Police have launched a death investigation after discovering four bodies inside a Chatham home Saturday night. 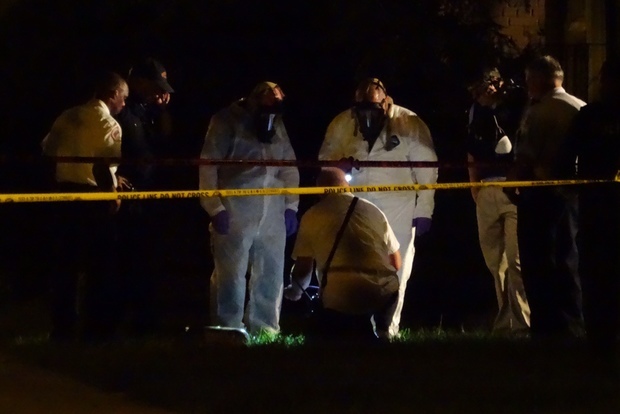 Police were called around 8:25 p.m. to check a home on the 8300 block of South Drexel Avenue, according to Officer Jose Estrada, a Chicago Police spokesman. When officers arrived, they discovered four bodies "unresponsive and deceased" inside the home. No other information was available from Chicago Police Sunday morning, Estrada said. Freelance photographer Devlin Brown said the stench from outside the scene was overpowering. "I have never smelled the smell of a decaying body before in my life ... and I will never forget that stench," he said.